Our society was formed in 1974 by several members with the Daughters of the American Revolution (DAR) in Larimer County. Since then, many past presidents have left their legacy and accomplishments with our society. Below is a brief tribute to these past presidents from our archives. We appreciate all of their accomplishments. Laura Simpson (1922-2006) became our first president from 1974-76. Laura and other members from the local DAR chapter in Fort Collins were responsible for forming our society in 1974; obtaining state approval as a non-profit corporation; held first election of new officers, which included new committee chairs for programs, librarian, publicity, and society historian; created the society By-laws and new society emblem; charter membership totaled 38; had monthly meetings with various regional speakers; created the first newsletter and membership yearbook; society donated $60 to the Fort Collins Library for genealogy books; sponsored the 1776 Bicentennial Genealogical Seminar with 96 attendees; saving obits from Coloradoan newspaper; and donating 144 microfilm and 17 genealogy books to the Fort Collins Library. Martha Conger (1915-1996) became our second president from 1976-77. Martha’s achievements during her presidency provided five genealogy workshops for educating new genealogists; updating the By-laws; completing the Bicentennial Genealogy Seminar; moving to the new Fort Collins Downtown Library, then to the American Baptist Church one year later due to a time conflict at the library; purchased more genealogy books for the Fort Collins library; worked with the LDS Library Branch (forerunner to the Family History Center) and society membership increased to 45. 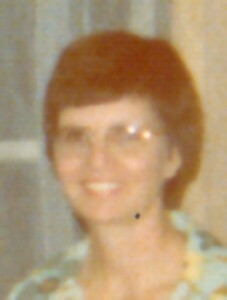 Sharyn Smith (living) served as president from 1977-78. 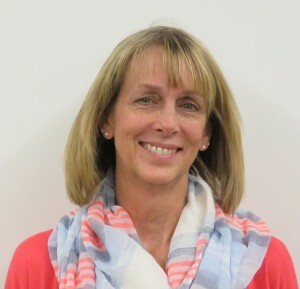 Sharyn’s accomplishments during her term were promoting the four generation family tree charts upon membership; increasing membership to 52; creating a society library at the church; and promoting a one week member trip to the Family History Library in Salt Lake City. 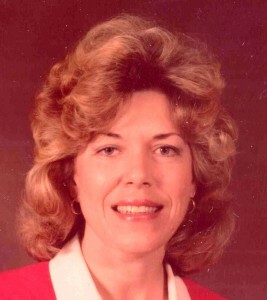 Kathy Williamson (living) served as president from 1978-80. Kathy also became newsletter editor during her first year term; showcased an ancestor exhibit at the CSU Library; added county marriage records to the newsletter; created the county land records project with over 33% members participating; added several new committees in refreshments, membership, special projects, and hospitality; helped to organize and join the new Colorado Council of Genealogical Societies in July 1979; society attending the New England Genealogy Seminar in Denver; exhibiting our society at the first annual CCGS Seminar in Denver; membership is 45 in 1979; and creating the first society publication for sale on the county land records in 1979. 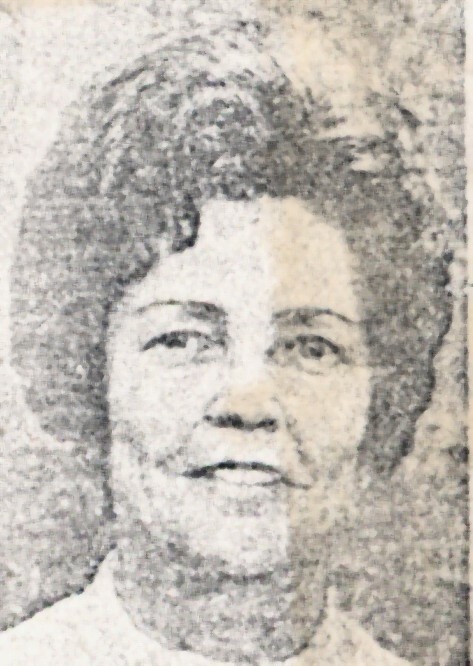 Lottie Vandergaw (living) served as president from 1980-82. 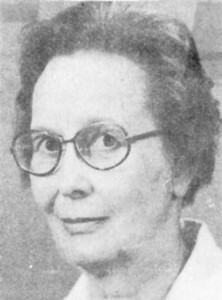 Lottie’s presidency included two annual spring genealogy seminars taught by member Betty Wickam (also the vice president) and others; purchasing more books for the society library; indexing the member’s research on their surnames from their family trees; and membership is 62 in 1982. 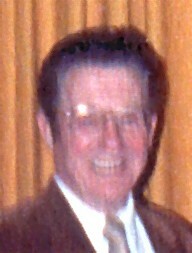 Glen Van Saun (1915-1998) served as president from 1982-84. Glen’s achievements were sponsoring the society annual spring seminar in Fort Collins; exhibiting at the annual fall CCGS Annual Seminar in Denver; expanding the society’s ancestor surname card file index; organizing and indexing all past society newsletters; created new society logo; membership totaled 79 in 1984; celebrating the 10 year anniversary party; updated society By-laws; purchased new books for the LCGS Library; and providing several genealogy workshops and classes at the American Baptist Church and Loveland YMCA. Velma Shepard (1914-2000) served as President from 1984 to 1985. Velma’s presidency included creating the local cemetery and county marriage records projects; sponsoring the society’s annual Spring seminar; moving the LCGS library from a member’s home back to the American Baptist Church; supporting the local Family History Center Heritage Conference in Fort Collins; creating a new society emblem; and membership is 62 in 1984. Karl Manke (1913-1998) served as President for 1985 to 1986. 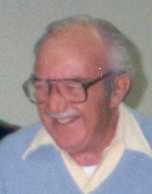 Karl’s accomplishments during his presidency included supporting the Loveland Library with several genealogy and computer classes; sponsoring the society’s annual Spring seminar; supporting the first city recreation dept. genealogy seminar; stepping down as newsletter editor after six years; and past vice president Carol Brink teaches a 10 week genealogy course at the Fort Collins Senior Center; creating a new Computer Interest Group; and publishing the society’s first county marriage index book (1858-1910). 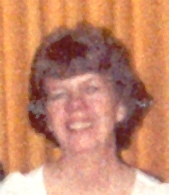 Evelyn Haynes (living) served as our president from 1986-87. Evelyn’s presidency included researching the Harmony and Bingham cemeteries in Fort Collins as viable projects; updating the society By-laws; creating a genealogy flea market for fundraising; and sponsoring the annual CCGS Fall Seminar in Fort Collins. 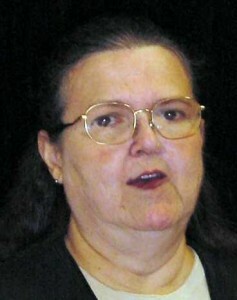 Donna Wheeler (Living) served as President from 1988 to 1990. Donna’s achievements included an International Potluck Dinner with entertainment by the local Encore Chorale; first computer generated newsletter; publishing the society’s first cemetery book on Grandview Cemetery; moving the LCGS Genealogy Library to Loveland Public Library; Updating the society By-laws to extend officer terms to four years total; sponsoring the society’s annual Spring seminar; and membership totaled 56. 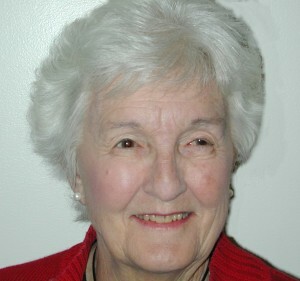 Edith (Edie) Davies (living) served as president from 1990-94. Edie’s presidency included publishing three society cemetery books on Roselawn and Resthaven cemeteries in Fort Collins, Greenlawn cemetery in Berthoud, and Lakeside Cemetery in Loveland; purchased $225 in genealogy books for the Loveland Library; organizing society field trips to the Denver Public Library’s genealogy section, Colorado Historical Society, CO State Archives, and Family History Library in Salt Lake City; organizing an all day LCGS Fall seminar at CSU; Updated society By- laws and increased membership fees ($12 single/$18 family); Edie taught several new genealogy classes at CSU Continuing Education Dept. ; supported second annual Personal Ancestral File (PAF) software class at Family History Center; Computer User Group expands with a regular PAF class; organized an annual genealogy garage sale; increased society committees to 13; newsletter published six times per year; National speakers William Dollarhide and Dr. Earlene Eakel gave presentations to our society; 1920 Federal Census is released; and addition of Certified Genealogist Betty Summers workshops; and achieved 100 members in 1992. Kevin Mielbeck (living) served as president from 1995-98. Kevin’s presidency included more Betty Summer workshops, who is vice president and also wrote the Learning Ladder series in our newsletter; moved the general meetings to the Masonic Temple in Fort Collins in 1995; members created the 1995 Fall Seminar and dinner banquet at CSU with 73 attendees and 13 speakers including William Dollarhide and Valerie Lair; newsletter has new look and emblem updated; organized five new workshops; Ceil Damschroder teaches anuual beginner genealogy classes at Fort Collins Senior Center in 1995; society’s new website is created with Les Shader (1948-1998) as webmaster in 1997; society moves to Allnut Funeral Home for general meetings in 1997; Rheba Massey, Fort Collins Librarian teaches Genealogy on the Web classes at the downtown library; Karen Helt takes over as newsletter editor, redsigns newsletter and becomes the society’s temp webmaster; and membership is 77 in 1998. 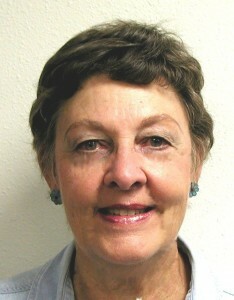 Cecilia (Ceil) Damschroder (living) served as our president from 1999-2002. Ceil’s presidency included two new publications on the 1885 CO Census for Larimer County and Loveland Cemetery; inspiring members to volunteer on both indexing projects; donating new books from the Les Shader Memorial Fund for the Fort Collins Library, hosting the CCGS October 2000 quarterly meeting at the Harmony Library; added the Basement Bookshelf book loan program in the society newsletter; 1930 Federal Census is released; Ceil continues with teaching the beginner genealogy classes at the Fort Collins Senior Center; creating the annual Dessert Celebration during the annual meeting in January; increasing attendance at the monthly meetings with new programs and speakers; updated society By-laws; website has a new look with more webpages; moving the monthly meetings from Allnut to the Fort Collins Downtown Library; and increasing overall membership to 105 members by 2002. Reverend Tyler (Ty) Curtis (1933-2005) served as our president from 2003-04. Ty’s accomplishments included updating the society By-laws; updating the finance reports; getting more participation and reports from the committees; forming three new committees in Education/ Outreach, Finance, and Standards; recognizing our 10 year members; creating the PAF and Family Tree Maker Users Groups; digitizing and producing three new CDs for existing publications; creating the 30 year anniversary celebration committee and 2004 GenFest Seminar; updating the newsletter and new society logo with more local society news and member ancestor stories; and increasing membership to over 115 members in 2004. 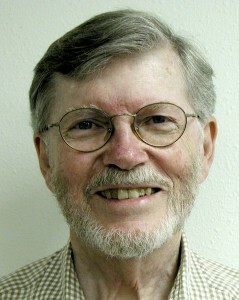 Dr. Kenneth (Ken) Goldsberry (living) served as President from 2005-08. Ken’s presidency created three new society publications on marriages, divorces, and cemeteries; creating the Girl Scout Heritage Badge program; adding transportation for disabled members to attend our society meetings; moving our society meetings to the more spacious Harmony Library; updating the society By-laws; creating a new database with thousands of obituaries for the society website; adding land records database to website; updating the society website with a new look and over 100 webpages; adding training videos; forming new Archival (formerly Historical) and society scrap book committees to preserve past society documents and photos; creating a recycle table committee; adding more educational classes; bring back the annual holiday dinner parties; creating a new membership directory with member photos; adding new speakers for our meetings; updating the basement bookshelf with more inventory; creating a new policy and procedure manual for all committee chairs; creating awards for 30 year members; creating annual Volunteer of the Year award; obtaining IRS 501c3 status as a non-profit; creating a new genealogy mentor program; and increasing membership to over 160 members in 2008. 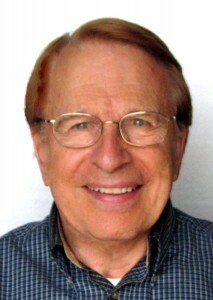 Robert (Bob) Larson (living) served as President from 2009-2012. 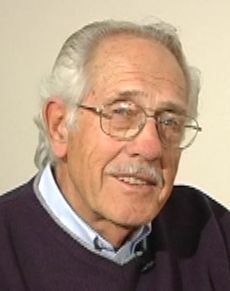 Bob’s accomplishments included obtaining partnerships with Poudre River Public Library District and Loveland Library; updating the society By-laws; updating the society website with a new look with over 150 webpages; adding 1885 CO Census and marriage record databases to website; creating and adding more training videos to website; adding a society Facebook page; writing a genealogy column for 50 Plus Marketplace News with other society members; offering over 20 annual genealogy classes at three different library systems in Larimer County; sponsored the Family History Expo in Loveland for three years; sponsoring a booth at the annual Victorian Festival, and Salute to Seniors & Amazing in Aging Expos; creating annual awards for 10, 20, and 30 year members; creating the Loveland Study Group; became number one society in indexing for the Colorado Council/FamilySearch CO census project; started three new affiliate partner programs; co-producing the Genealogy Quest TV Series for a Fort Collins cable TV channel; producing Genealogy Quest DVD sets for sale to the public and libraries; created the One-on-One Genealogy Help on Thursday afternoons at the Downtown Fort Collins Library and Loveland Library; and donating $860 for new genealogy books to the Loveland Library and increasing the membership to 185 members in 2012. Stacey Wallace Rehbein (living) served as President from 2013-2016. Stacey’s presidency founded the society’s annual Conference for a Cause (C4aC), beginning in 2015 and continues to bring in national speakers every year. All proceeds from C4aC go to genealogical preservation projects, one local project and one national. Our first year alone generated almost $12,500, that included some matching funds from FGS and Ancestry.com. As a result of our donations to Friday’s Council Tree Chapter’s, Historic Marker Project, our society’s name is engraved on the Soldiers from Camp Collins Memorial stone in Grandview Cemetery. A Website Support & Review Committee was formed. This committee worked to support and assist the webmaster with major changes and updates to our website; Genealogy Thursdays continue to be a big hit at the Old Town & Loveland Libraries; money for books is still being donated at the Fort Collins and Loveland Libraries; a secure password policy for board documents was created and the membership was increased to 190 members in 2016. Gary E. Davis (living) served as President from 2017-2018. Gary was elected from the general membership ranks of LCGS where he had been a member for five years and previously a member in the Highlands Ranch Genealogical Society for several years. Beginning his own family research as a teenager, he finally obtained in 2018 his family tree connection to Capt. Isaac Davis, the first soldier killed in the Revolutionary War at Concord Bridge. Gary brought extensive knowledge and experience on organizational and business operations, communication, writing, publicity, and meeting facilitation from his experience as an attorney drafting legislation for the Colorado Legislature, as a Vice President lobbying for the Colorado Hospital Association, and as a realtor using customer relation skills. Prior to and during his Presidency, Gary was the Newsletter Editor for four years. He consulted with Board members and Committee Chairs, and then revised the Policy and Procedures Manual twice and the Society’s Bylaws to include more clarification and organization to assist future volunteers in their tasks. In collaboration with the Vice President, two new record retention schedules were adopted. He worked with the Vice President and Archivist to have all society documents scanned and uploaded to Google’s cloud storage. During his administration, the society moved to Good Samaritan Village in Ft. Collins. Membership surveys were taken which created several small study groups, in addition to an existing DNA study group.